Description Lake Oswego Public Library, 706 4th Street, Lake Oswego, Oregon. 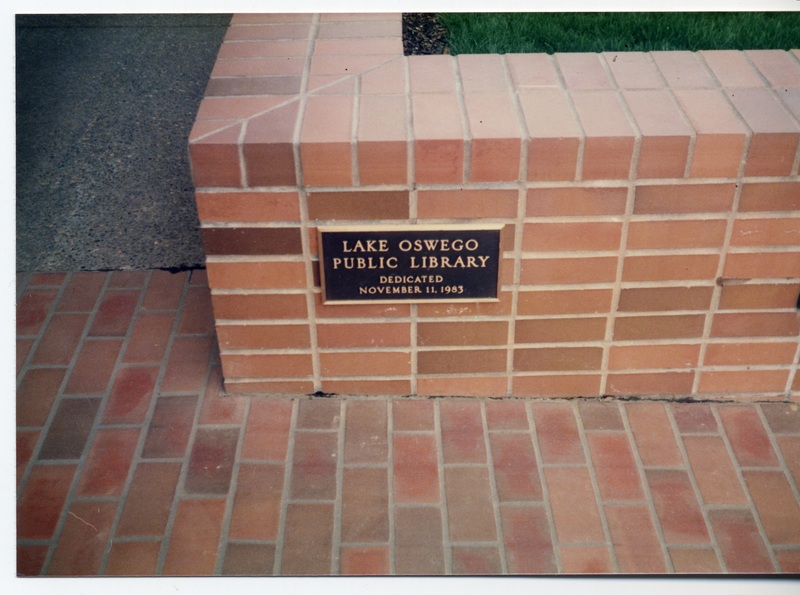 [Plaque]: Lake Oswego Public Library Dedicated November 11, 1983. Negative with photo. Physical Description H 3 1/2" x 5"